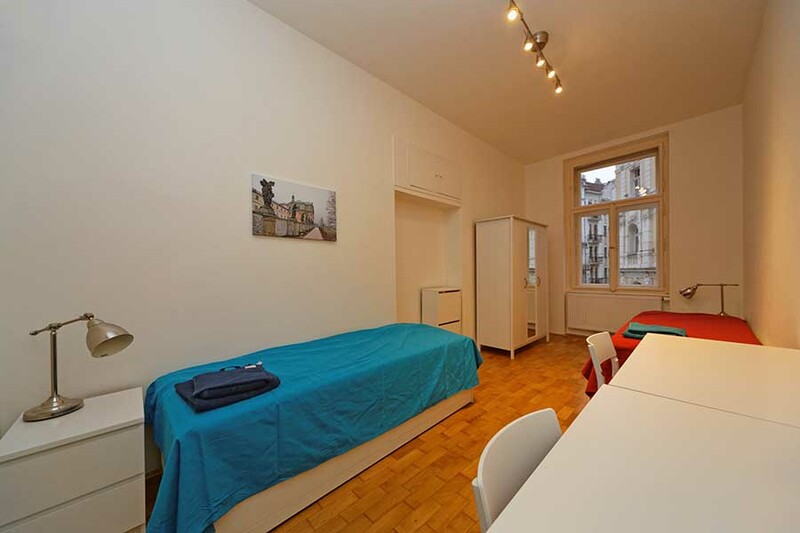 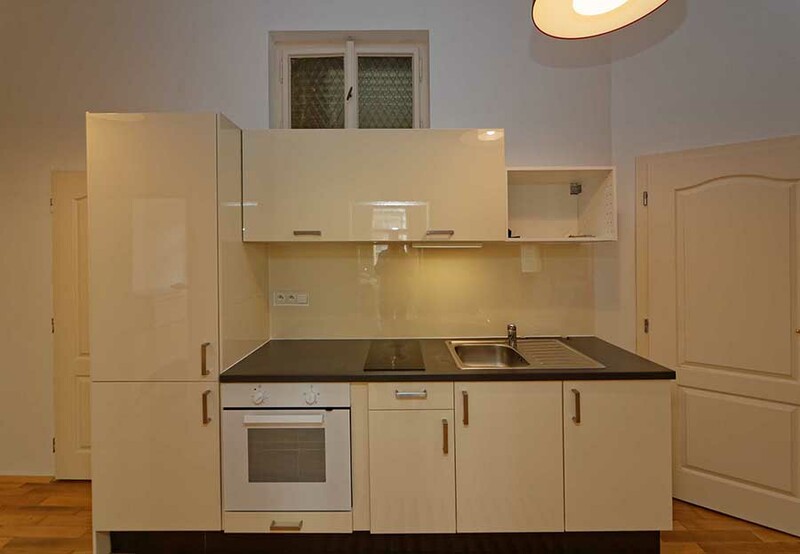 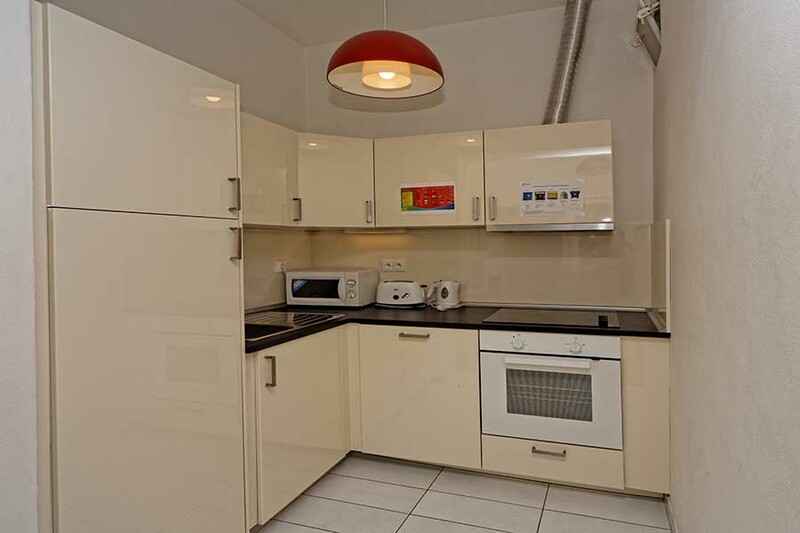 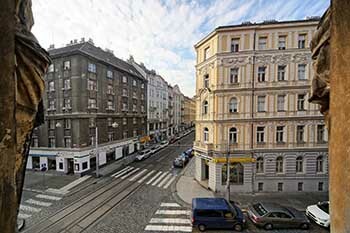 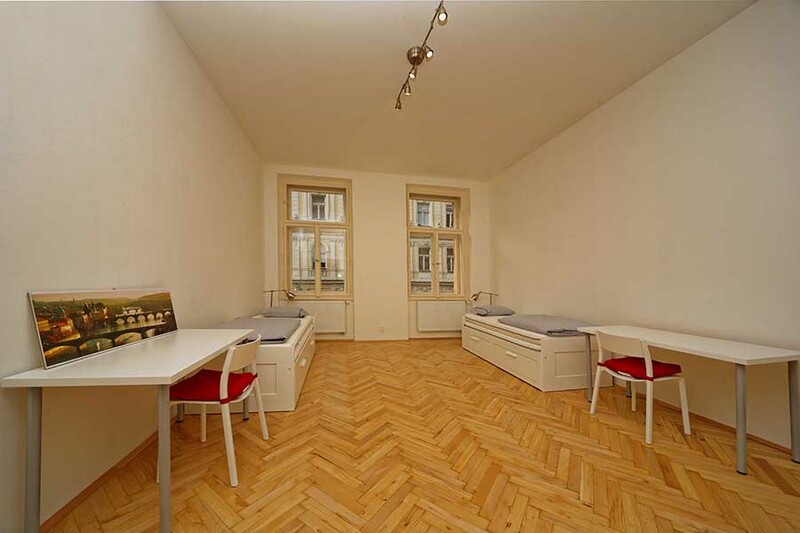 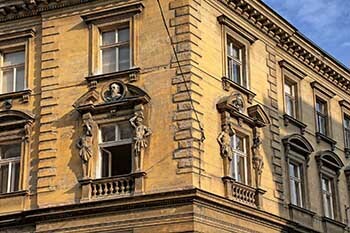 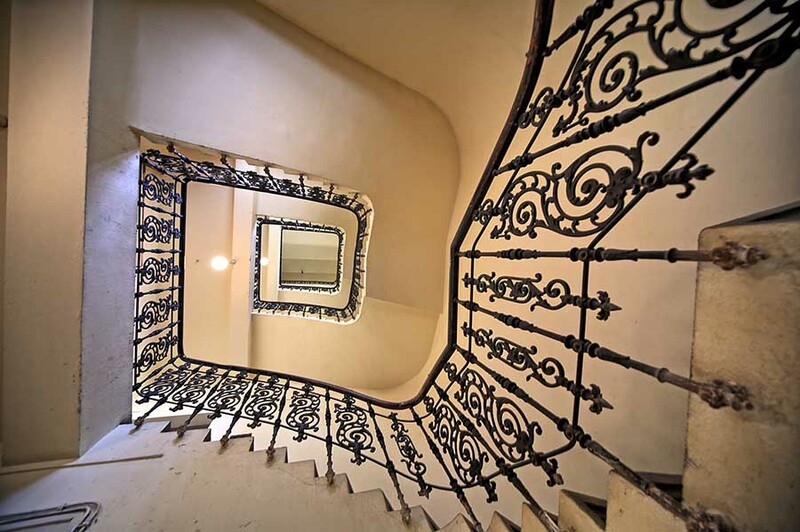 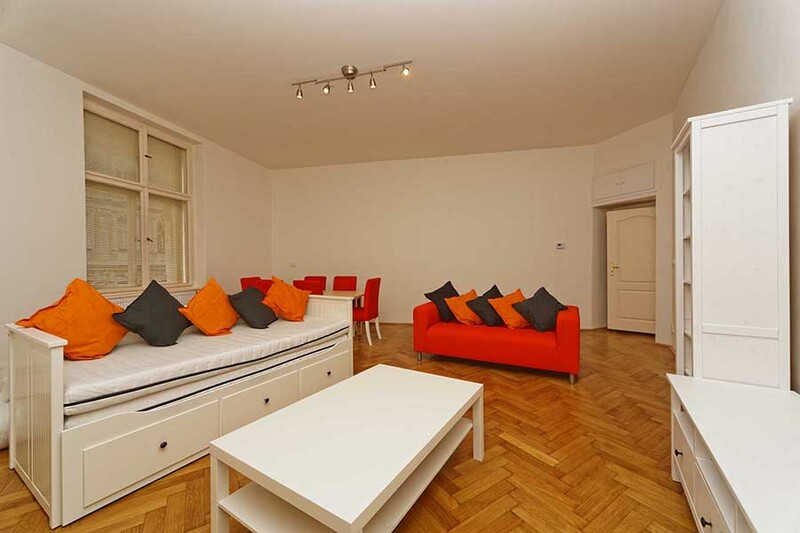 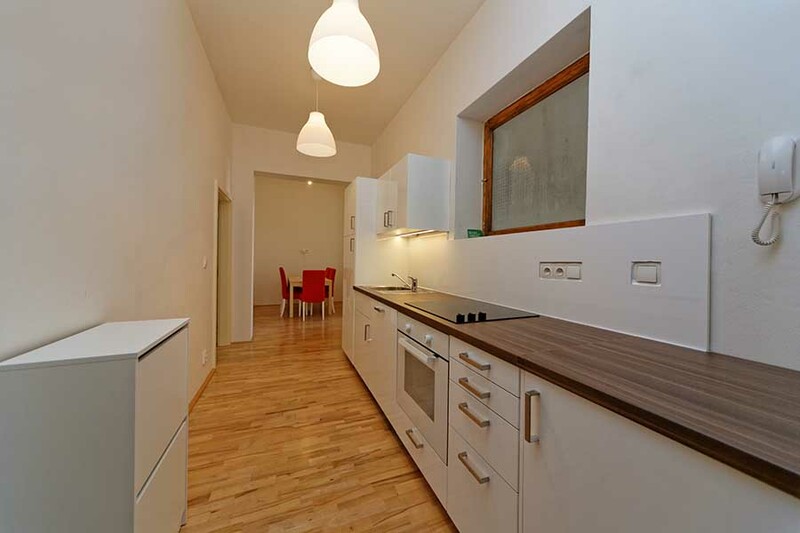 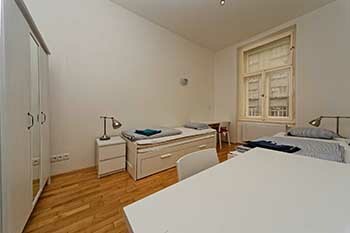 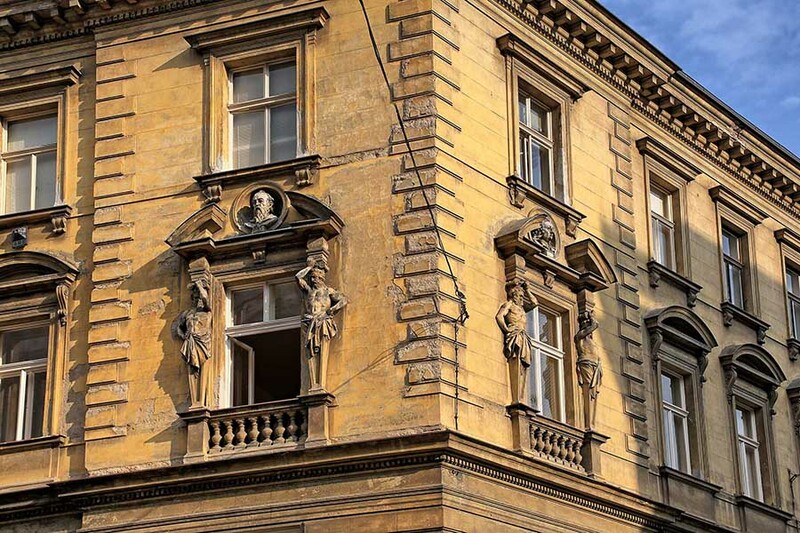 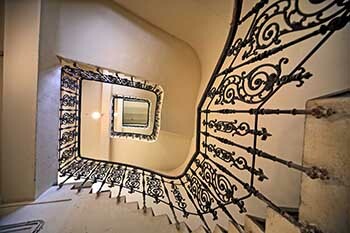 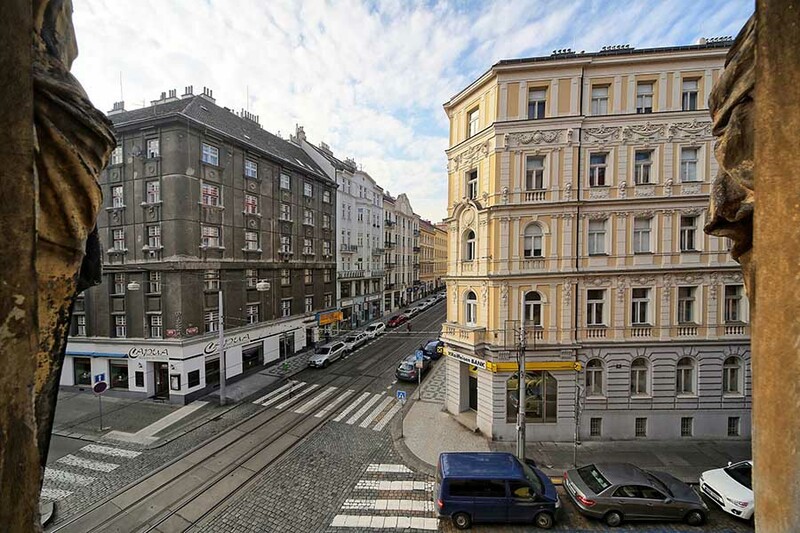 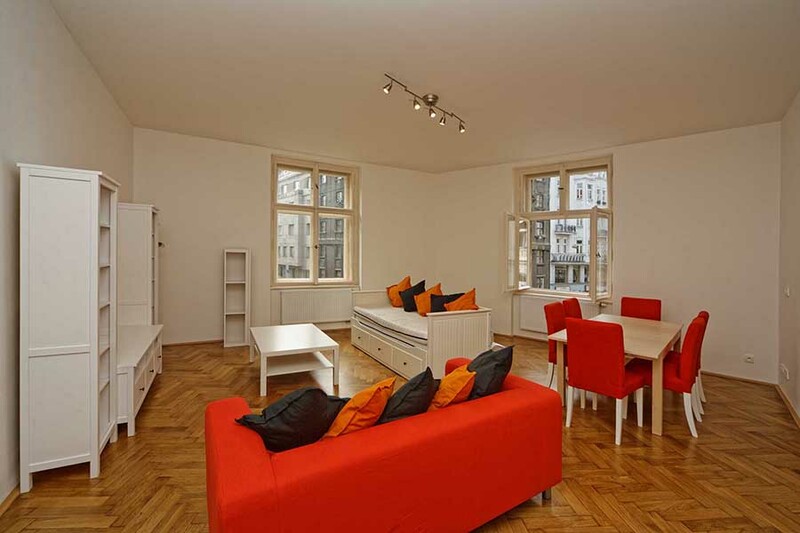 Seven apartments are located in a residential house near National Gallery of the Modern Art at Trade fair palace, 10 minutes by tram from the Old Town. 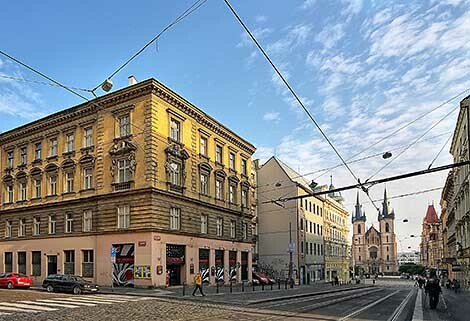 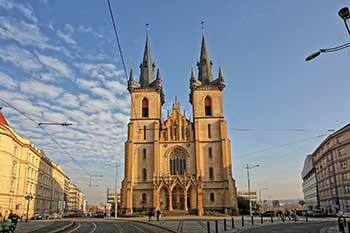 100 metres from our house is a tram stop Strossmayer nam., tram no.17 will take you in 7 mnutes to the Old Town, no.12 in 13 minutes to the Lesser Town below the Prague Castle or no.12 in 11 minutes to Wenceslas Square. 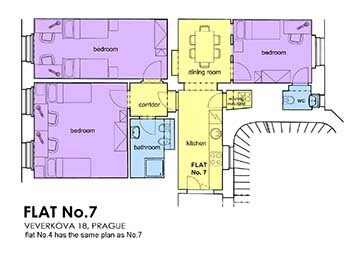 All are running all the day in 4-8 minutes intervals. 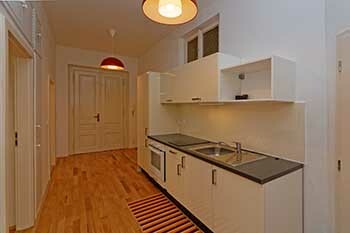 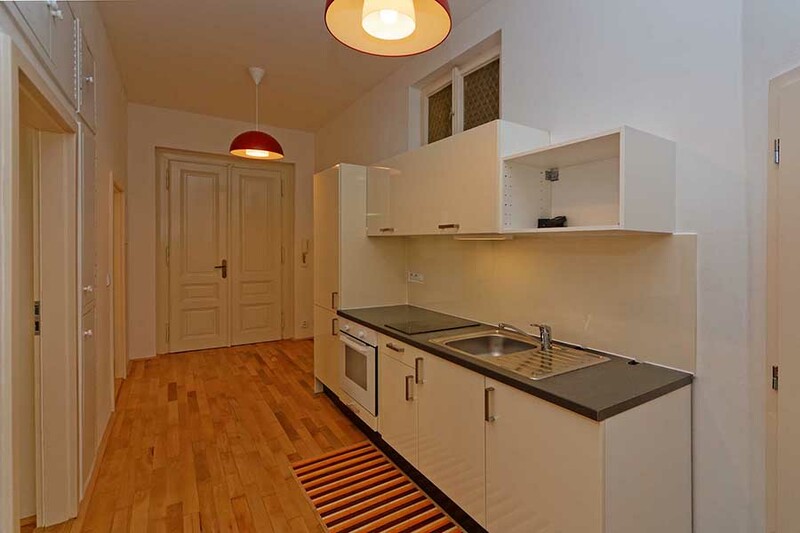 All the apartments are very spacious with 1 living/dining room, 3 bedrooms for 6-10 (max.12) people and 2 bathrooms. 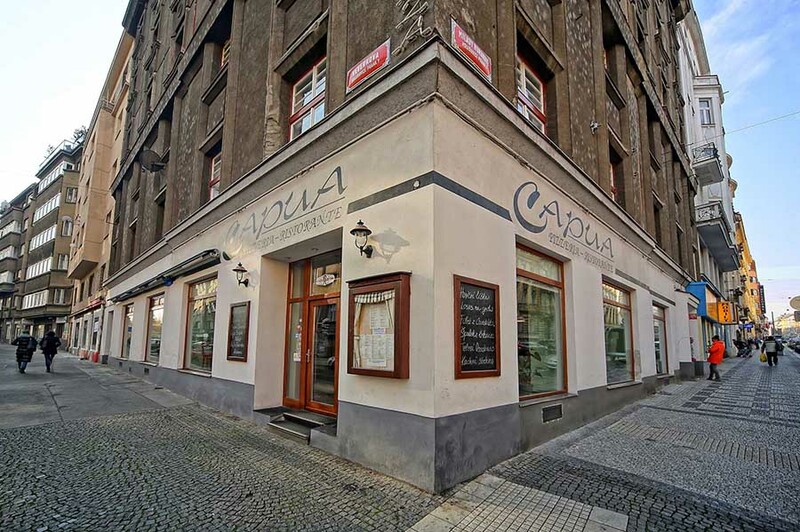 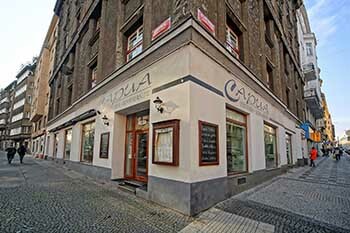 Italian restaurant/pizzeria Capua is just accross the street, mexican nonstop fastfood Burrito Loco is 70 metres, popular restaurant Potrefena Husa is 200 metres/3 minutes away. 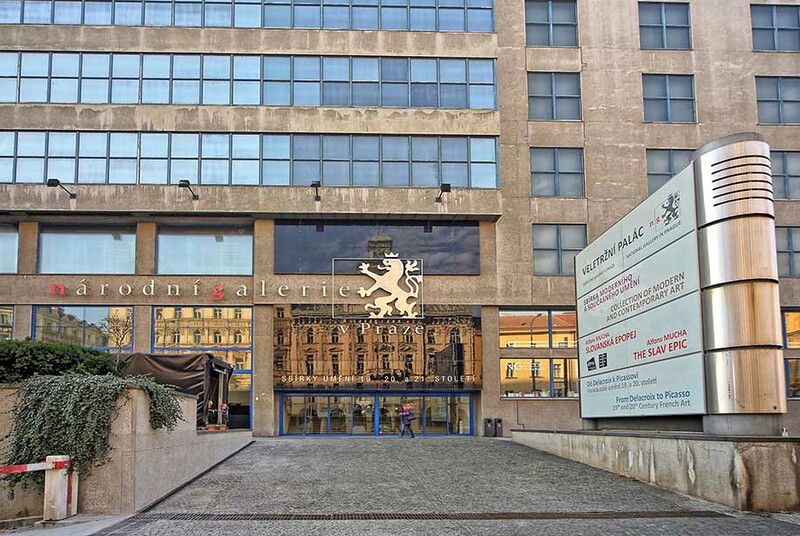 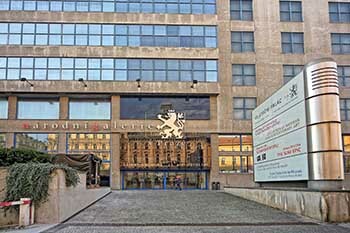 The National Gallery of Modern Art in Trade fair palace is 300 metres/5 minutes on foot. 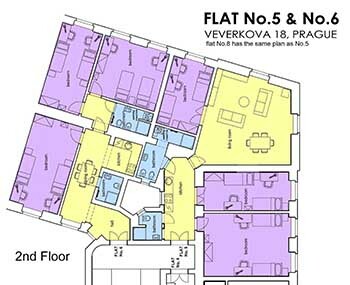 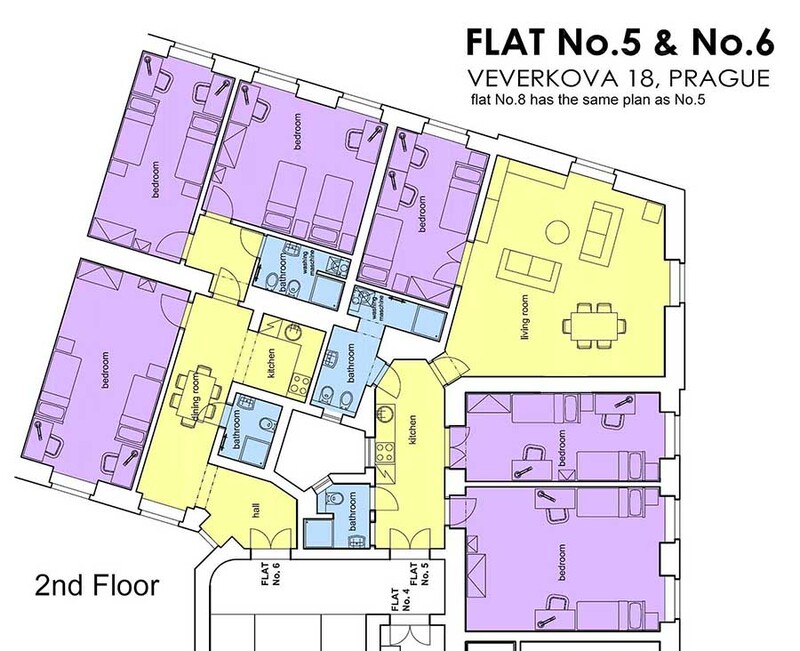 All flats have 3 bedrooms with 5-6 single or double beds (when unfolded they have 160 x 180 cm), 2 bathrooms, dinning room or living room and 2 bathrooms. 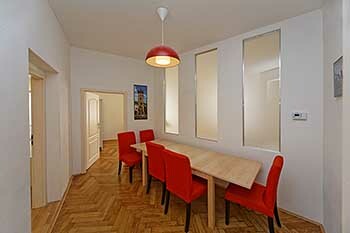 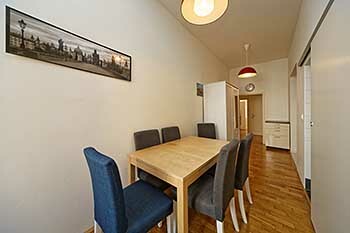 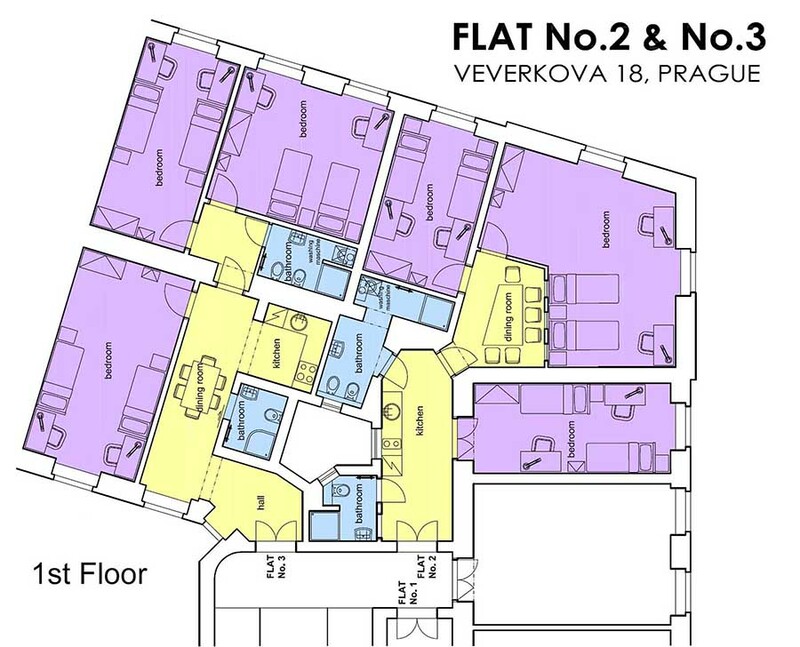 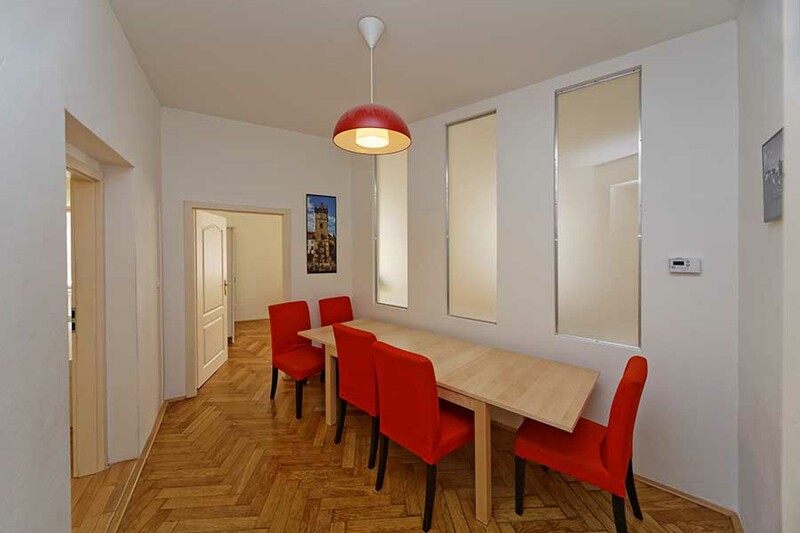 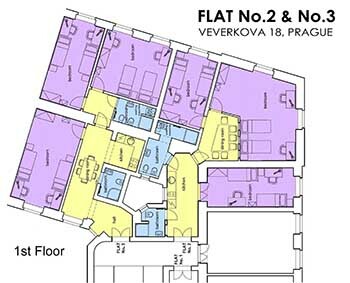 Apartments 2, 3 and 6 have a dinning room in the centre of the flat. 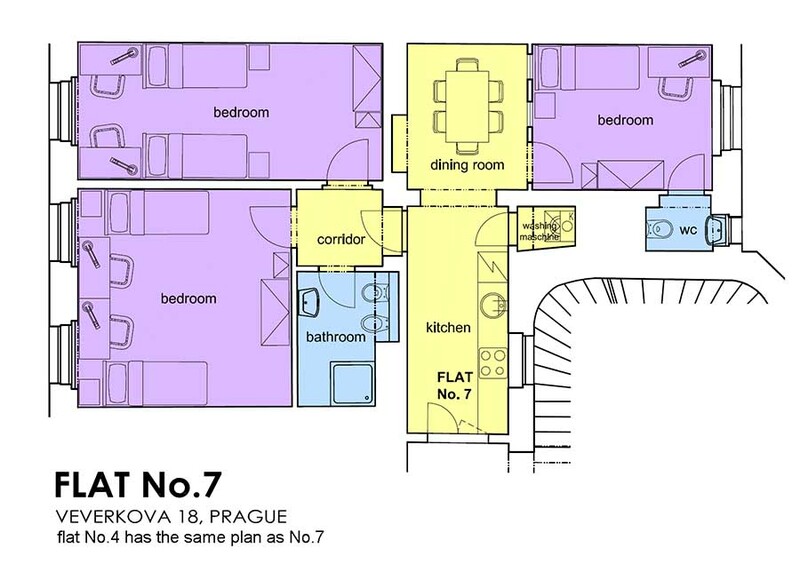 Apartments 5 and 8 are the biggest with large living/dinning room. 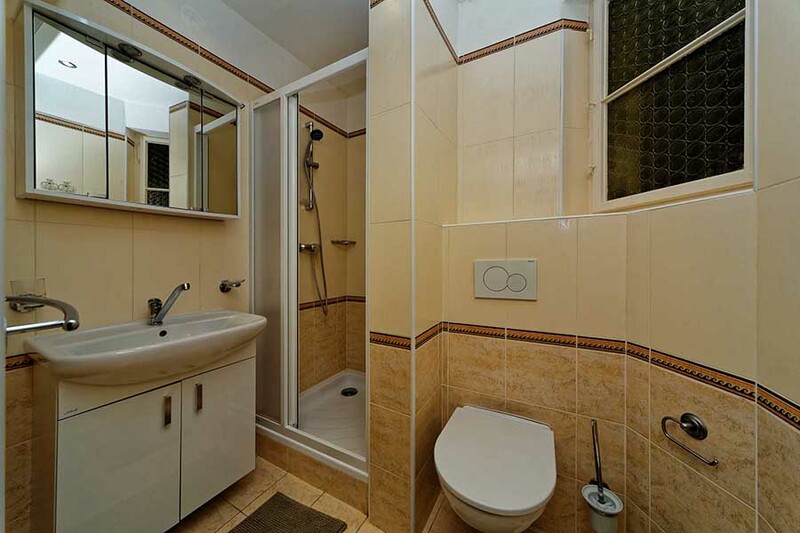 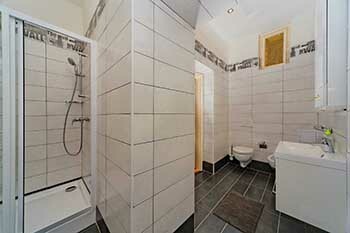 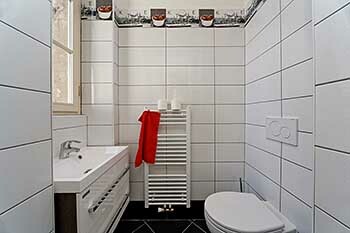 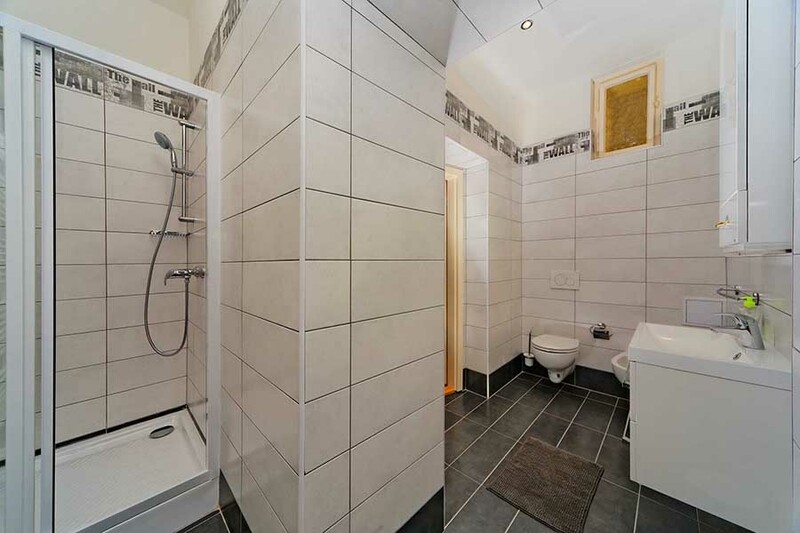 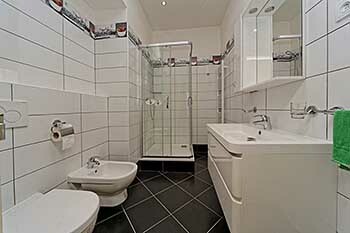 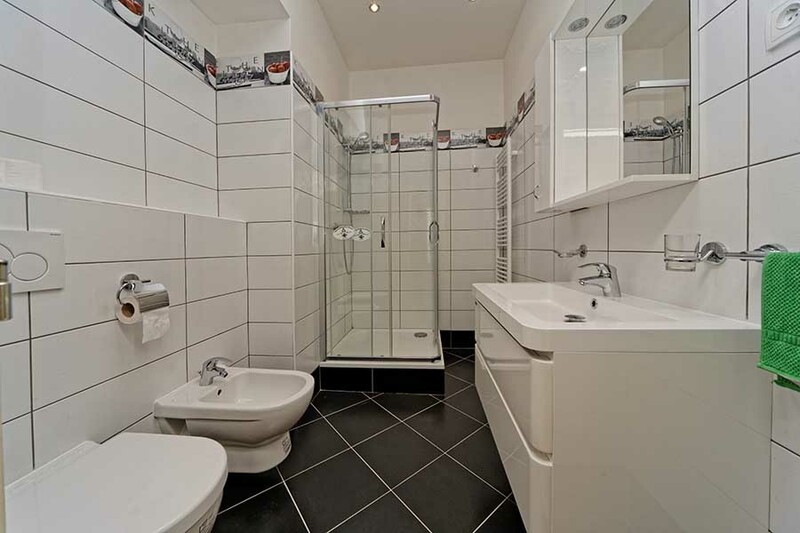 Apartments 4 and 7 have 5 single/double beds, one full bathroom and second smaller bathroom with toilet and washbasin. 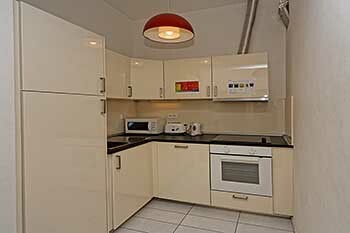 Apartments are available from Dec22 till 21st January 2017. 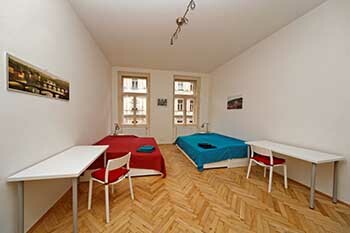 For New Year reservation there is a 5 nights minimal lenght of stay (or the minimum total 1500 € independent on number of nights). The price is for 4-12 persons per night, including bed linen, towels, internet connection and energy consumption. 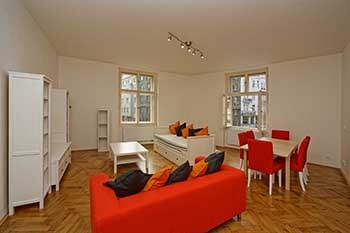 If you dont book the transfer you must specify exact time of arrival.